Preheat oven to 250°. In a wide shallow bowl, whisk together flour, paprika, and cayenne pepper. Season with salt and pepper. In another shallow bowl, whisk together milk and egg. Season with salt and pepper. Season shrimp with salt and pepper. 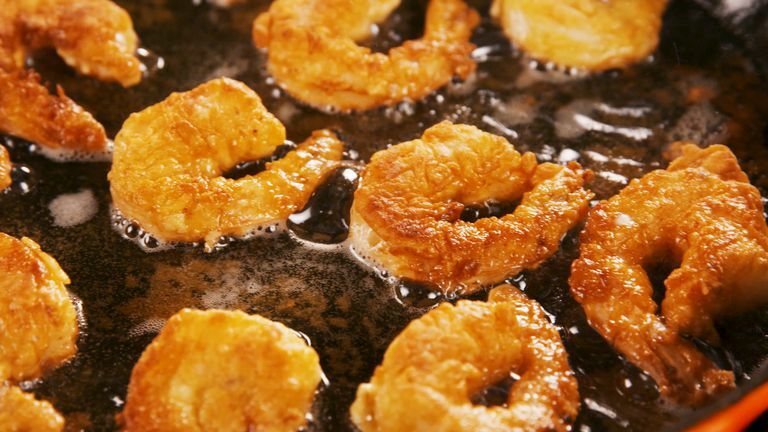 Dredge each shrimp in flour, then dredge in egg; allow excess to drip off, then dredge in flour again.